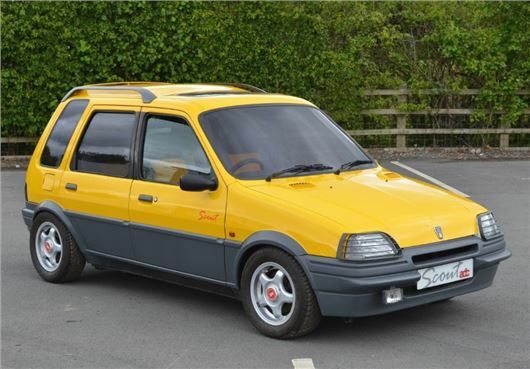 A one-off concept built at the start of the 1990s and based around a brand new Rover Metro is due to go under the hammer on Wednesday, 10 June. No reserve has been set so this fascinating proposal for a forward-looking crossover might just be a bargain. The Rover Metro Scout was designed and built by Automotive Development Consultants (ADC), a company which had already been involved with Rover Group via various MG roadster proposals. However, the Scout was something different – and, with the benefit of hindsight, was years ahead of its time. These days, two-wheel drive crossover-style vehicles are extremely popular, attracting buyers who appreciate their looks, their robust image and their practicality. In the case of the Scout, a standard Rover Metro was fitted with a taller roof, a higher side-hinged tailgate, bigger rear side windows, roof rails, extra plastic panels, headlamps guards and even an externally-mounted spare wheel in order to resemble a mini-4×4. 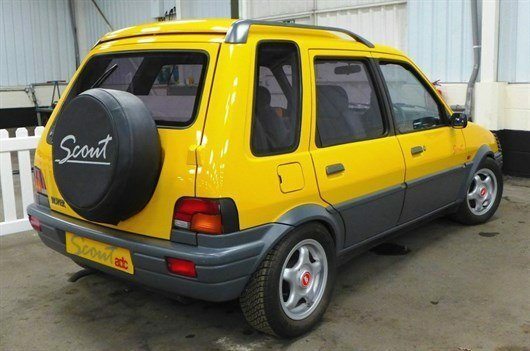 Metro Scout – the precursor to today’s modern Crossovers? Sadly, though, the idea wasn’t adopted by Rover Group: ‘Rover was interested enough in what we were thinking about to provide the donor car’, explains Ragless, ‘but not enough to pursue the project.’ With Rover busy working on its own crossover ideas at the time – the production version of which would eventually be the Land Rover Freelander – the Scout remained simply a concept. The show car itself has been on display at the Stondon Motor Museum for more than twenty years. However, following the recent closure of the museum, it is soon to be auctioned off (along with every other exhibit) via Herefordshire-based Brightwells. It will be sold with no reserve. 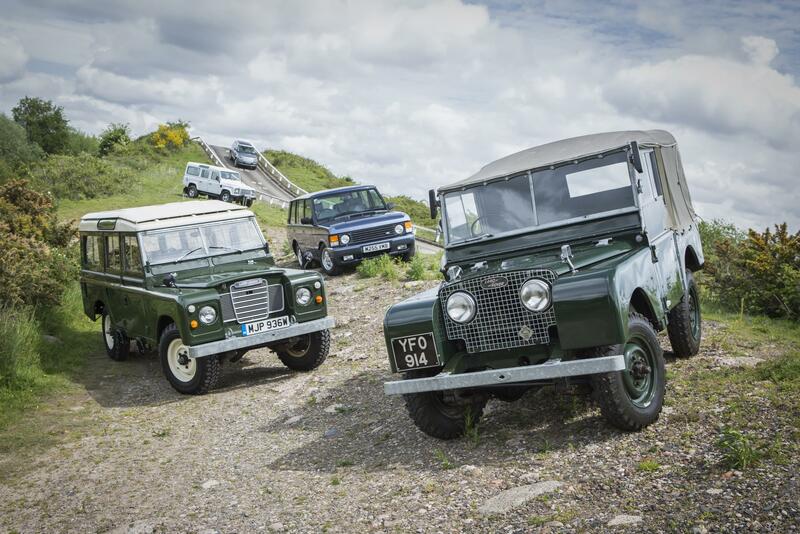 First registered in 1990, the Scout has covered just 1290 miles to date and is described as ‘not roadworthy at present’, though it could be put on the road and has a V5. Included in the sale are some of the original moulds for the car, which will need collecting from Stondon Motor Museum after the auction. For further details of the Scout, go to www.brightwells.com. I guess with hyrdagas suspension it might have been potentially possible to change the ground height on board, alla range rover imagine if it had traction control as well. 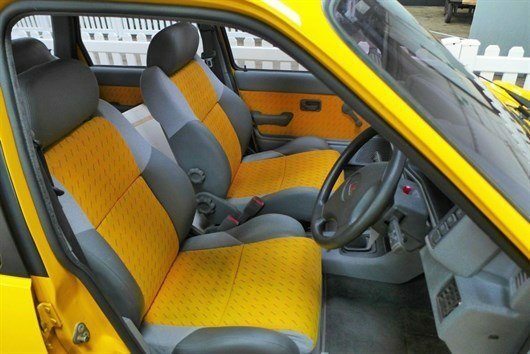 Very interesting some Toyota Tercel vibes as well from it stylewise. Reminds me I saw a Talbot Rancho in Gothenburg on Sunday, and not that rusty. Tidy looking car that Scout, but given that BAe piggy bank could not find enough pennies for even a Metro reskin, doubt they could have afforded it even if they had wanted to do it. Imagine if this had made it into production, it could have been a hit as it would have given the Metro a whole new market. Fascinating. I wonder if it would have been a hit or if it was an idea before its time. I suspect one extreme or the other. A very interesting concept! Agree with Chris, above. A godawful idea that somehow (thanks to the magic of ADC) looks vastly better than it ought to! I think the funky colour works well, but the siting of the spare wheel on the tail door would surely hinder visibility- especially when parking. Whilst I realise any such car (Rover Streetwise or Talbot Rancho) is more about style over substance, I think they should have left the spare wheel where it was on this one in order to be genuinely practical. The side opening tail door would probably cause issues when parked on the road, although at least it ought to be possible to drop the rear seat backs to extract shopping via a rear passenger door. 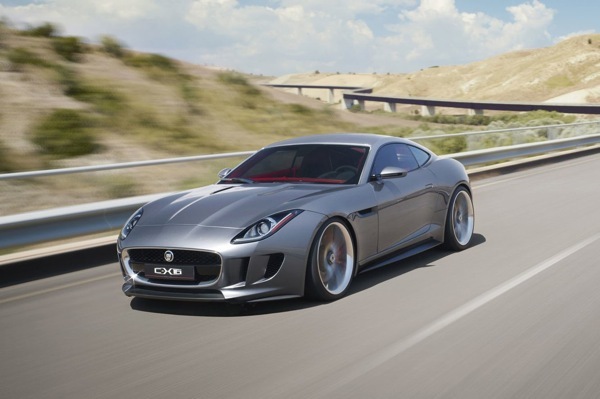 I really like this as I have 3 metros & a Jaguar estate it would fit the bill for me. As the article says, Rover group were developing the Freelander at the time & this would have eaten into their sales. I don’t believe if it would have been possible to merge the Land Rover brand with this and have a baby Land Rover and charge a premium, the Freelander really was the right size\ image \ cost. Re: Side opening tail door, not an issue in car parks, my Jaguar has a window that opens and lifts separately from the door to allow access. Anyhow, I cannot wait to see how much it sells for & who buys it. It sold for £3,600 plus 10% commission plus 20% VAT. The only car I was after, a Triumph 2000, was the only one withdrawn from the sale!! Sold for £3,600 and will shortly appear at £5-6000 on ebay…..
As said above it has appeared on ebay, looks like they’ve bought a few from the same auction and want £9,350.00 for it the greedy sods. as said above it sold for £3,600 plus 10% commission plus 20% VAT. So only buy it if you like being ripped off! Now on ebay for over £9000. What will happen to it I wonder. Looks as though the same eBay dealer has several other ex Stondon collection vehicles at ridiculous asking prices. From his profile he appears to be new to the world of classic vehicles, flogging them from a farm/tat yard. Doesn’t bode well for the Scout. Makes me wonder if it will end up in a museum again. It would seem to me to be the best option, although I wonder how museums can afford it. That dealer just seems to be looking for a quick buck without making any effort at all – photos taken on transporters outside the auction house and vague descriptions that don’t fully detail the condition. Shame the Scout ended up there as I’d hoped it would go to a Metro enthusiast and £3600 seemed a fair price for something unique but a bit obscure. Nine grand is just insane though! I emailed him an offer of £4.500, not heard anything back – £9k – this tool must be on drugs… LOl..
Any update on this? I have commented on other sites & IMHO the dealer is a knOb too. Yep, the Nissan Juke, VW TROC, Audi Q2 and Ford Ecosport are all spiritual successors to this car. Way ahead of its time as a concept if not in its execution.